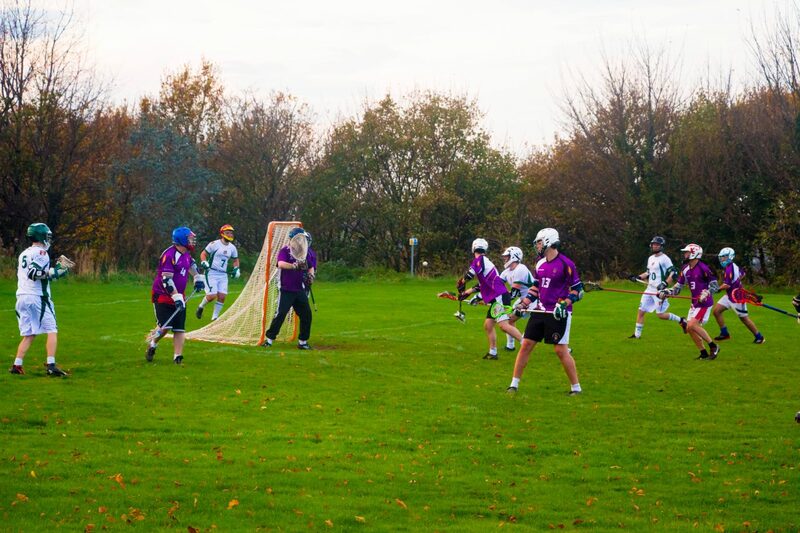 Men’s lacrosse made it their first win of the BUCS season yesterday, beating Manchester 2nd’s 9-0 at home. Bangor finished 3rd in the league last season, and were sat in 4th after one match. Bangor were on top from the start, winning the face-off and gaining possession. Bangor immediately looked to control the play, slowing down the tempo and working through a variety of set-plays from the training ground. The first shot of the match went to Manchester, however, as they broke from defence, only to see their shot go high and wide of the top corner. Both teams continued in the same vein, with Bangor looking more comfortable in possession than Manchester, who only looked to counter attack. Bangor’s patient build up was working, as they created a couple of shots on target in the first ten minutes, although neither really troubled the goalkeeper. The breakthrough eventually came from Matt Attridge, who received the pass from George Thomas, before sneaking the ball past the goalkeeper at the near post. Bangor were consistently aggressive on the defence, forcing Manchester into hurried, poor passing. This allowed Bangor to regain possession, and get Attridge in to score his second of the match. Less than a minute later and Bangor almost had three, but the ball clipped off the crossbar and bounced off the goal line, much to the relief of the Manchester goalkeeper. Bangor were dominating the away side and creating multiple chances in front of goal. Mark Holmes going past two defenders and almost finding Attridge in front of goal, before Attridge launched a shot from long-range. He was also involved again when the third goal came, this timed the goalscorer turned supplier for Ash Palmer, who scored from close range. 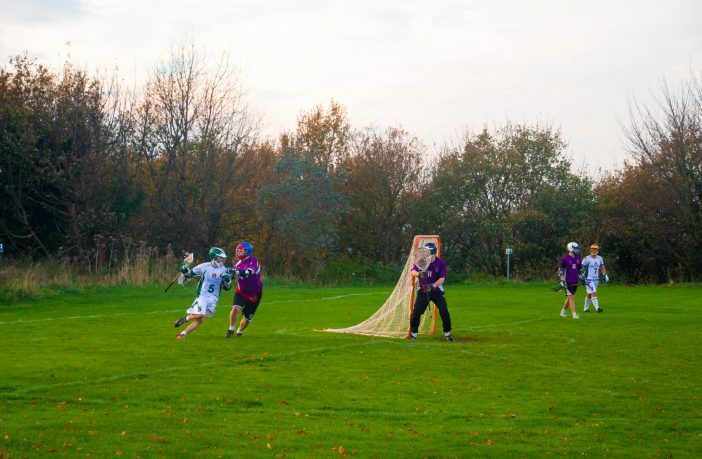 Going into the second quarter Manchester were looking to get back into the game, after a berating from their coach about a lack of movement in attack, culminating in only one shot in the first quarter. The second quarter started well for Bangor, team captain Nicky Furley going on a great solo run to score at the near post. 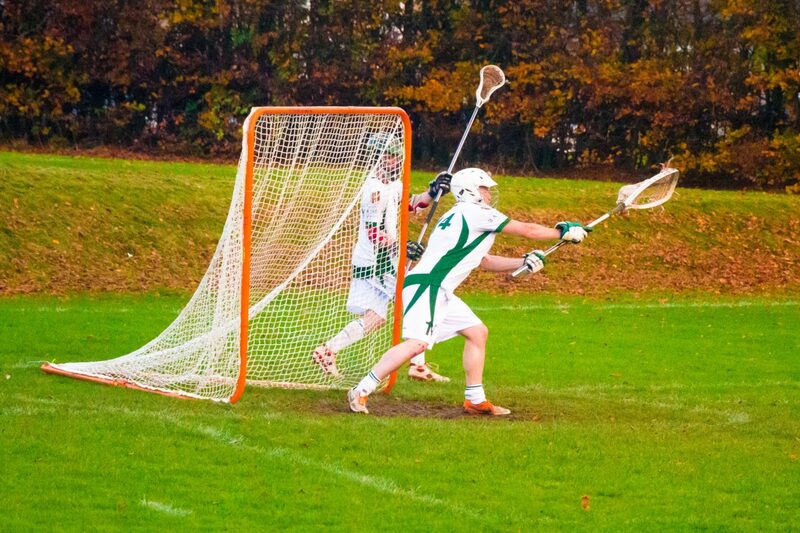 Star player Attridge was again involved in attack, running behind the goal before cutting the ball back for Holmes, who produced a brilliant save from the goalkeeper. However, Bangor reclaimed the ball and Attridge scored again to get his hat-trick. Manchester were no match for Bangor’s well drilled attack and physical present, which was showcased by a Manchester defender attempted to barge Bangor’s Thomas off the ball, resulting in the defender on the floor, much to the amusement of the home support. Bangor’s goalkeeper, James Lloyd, was adamant to keep a clean sheet in game, organising his defence well before being called upon to make two brilliant saves in quick succession. After Manchester’s best chances in attack, Bangor upped the tempo again. Attridge found himself with his back to goal, but turned and shot to net his fourth of the game. Thomas soon added the home side’s sixth goal, putting the result well beyond doubt. Manchester’s day was only to get worse, the goalkeeper unable to scoop the ball off the floor before Matt Coppack flicked it into the empty net. Bangor added a ninth late on to secure their first win of the BUCS season.